Martin’s victory came after a tough final at the Savoy hotel in London today, where he competed against Romain Bourger of the Vineyard at Stockcross, and Arnaud Bardary from Maze in London. 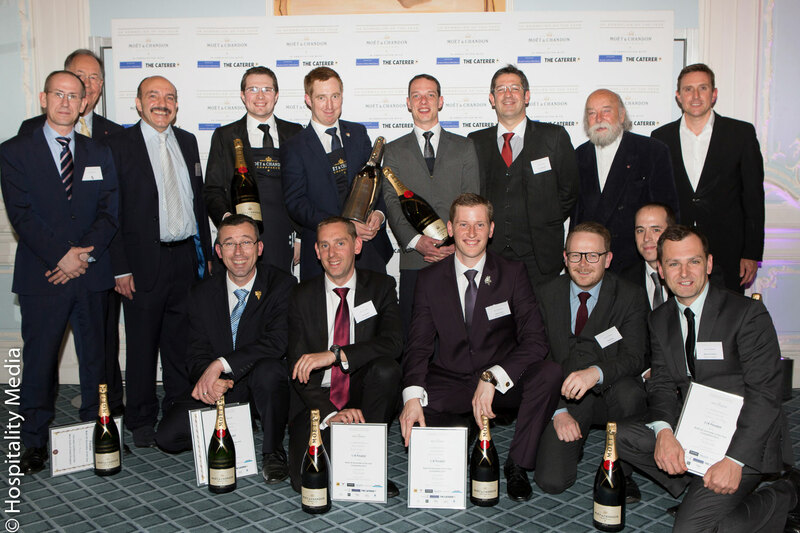 Bardary was placed second, while Bourger was third in the competition, organised by the Academy of Food and Wine Service (AFWS) and The Caterer, and sponsored by Moët & Chandon Champagne. All three finalists were submitted to a gruelling three-hour competition in front of an audience made up of judges, former winners, their peers from the industry, sponsors and journalists. As part of the competition they were required to: inspect a wine list and identify a number of errors (that were not to do with spelling or pricing); undergo a blind taste test of two wines, one red and one white, as well as describing and identifying them; identify four spirits served in black glasses; serve three tables of former winners in a restaurant role play situation; and finally to pour a magnum of Moët & Chandon Rose Imperial Champagne into 16 glasses.